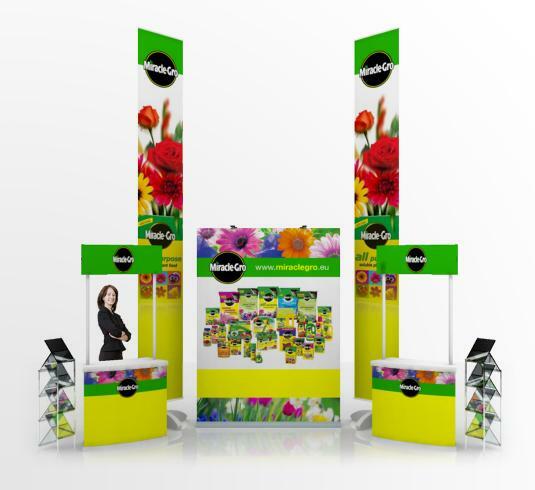 There are many styles and size of banner stand from outdoor to indoor, freestanding animated and much more. 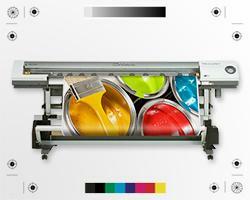 Here is an instructional video and instructions on how to erect a banner system like the experts. Please pay full attention to video and bullet points before you start. Although this is a generic video for stand up banners this video is for a medium quality common stand from stand banner. 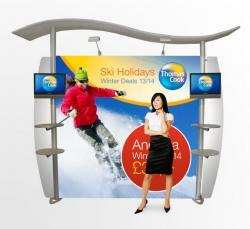 For more information on this product please click the link to our pull up banners page. Before you remove the stand from it’s packaging please watch the instructional video above ideal for beginners and intermediates alike. After watching the video carefully remove the pull up banner from the box and out of it’s padded carry bag. Please look for any damage sustained to the aluminium case in transit. If all appears good then then place the composite parts out in front of you. Here you will notice that all elements of the stand are integral so you’ll meet to twist the feet out and remove the bungee pole from the rear of the cassette. Ensure the feet are perpendicular to the base before you insert the pole into the hole receiver at the back of the stand. Ensure the erected pole is all the way into the base and should finish in a vertical position without play or movement. After this is achieved you can begin to pull up the graphic firstly only bringing it to waste high and no more(remember to keep a firm grip). At this point with the graphic in hand, use your other hand on the pole to lean the stand back at a suitable angle that allows you to pull the graphic from the mechanism and attach it to the top rail at eye level)please ensure the male plastic clip is inserted into the top rail before you leave go. 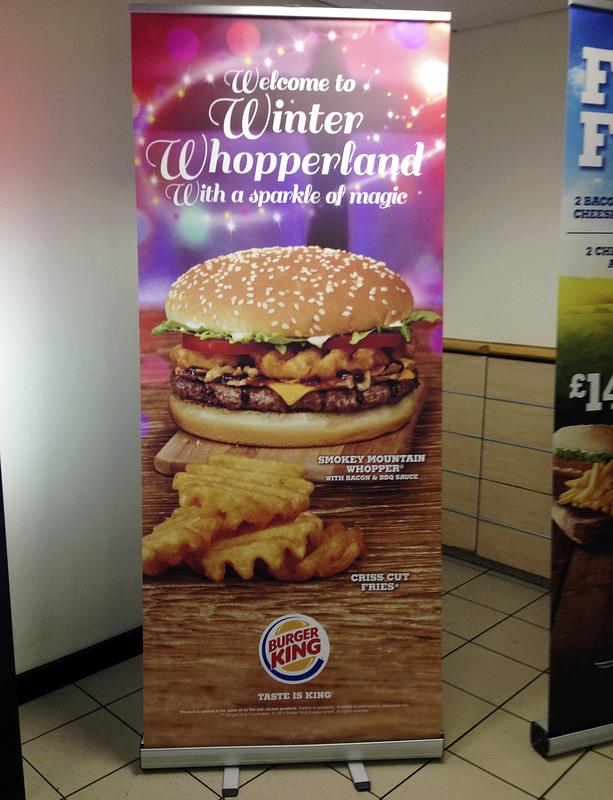 This is the most common mistake caused when putting up a banner stand and will almost surly result in the damage of the graphic or the stand. “not covered in anyway under warranty”). This will avoid you trying to reach to the top of the stand that might not be achievable always. 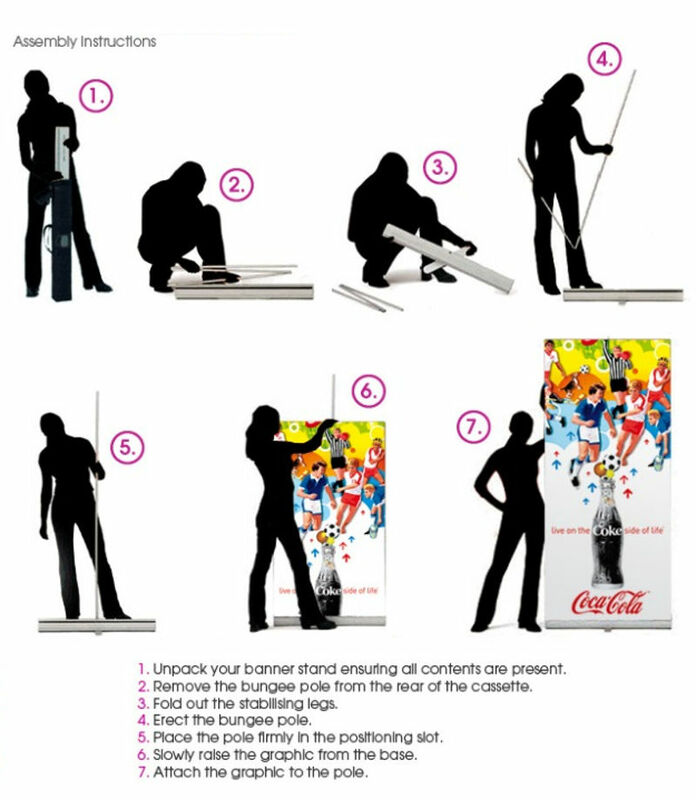 Simply move the stand to a suitable position for best viewing and use the pole to lift it as now the graphic is locked into the top rail. For optimum flatness allow the graphic to be erected in a controlled environment for 24 hours at room temperature or 21 degrees. Obviously fluctuations in temperature can affect the stay flat material but there is no way of stoping our stay flay material from expanding or contracting much like anything else on the planet. In past experience the longer the stand is erected for lets say a permanent feature in a reception area the better the overall result is. 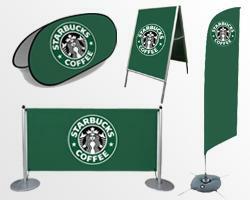 The premise is simple for dismantling your banner stands as you’d expect. Simply reverse the order you put the stand up with starting at leaning the stand back to remove the plastic clip from the banner rail and lowering it back down into the cassette slowly and with a firm grip. 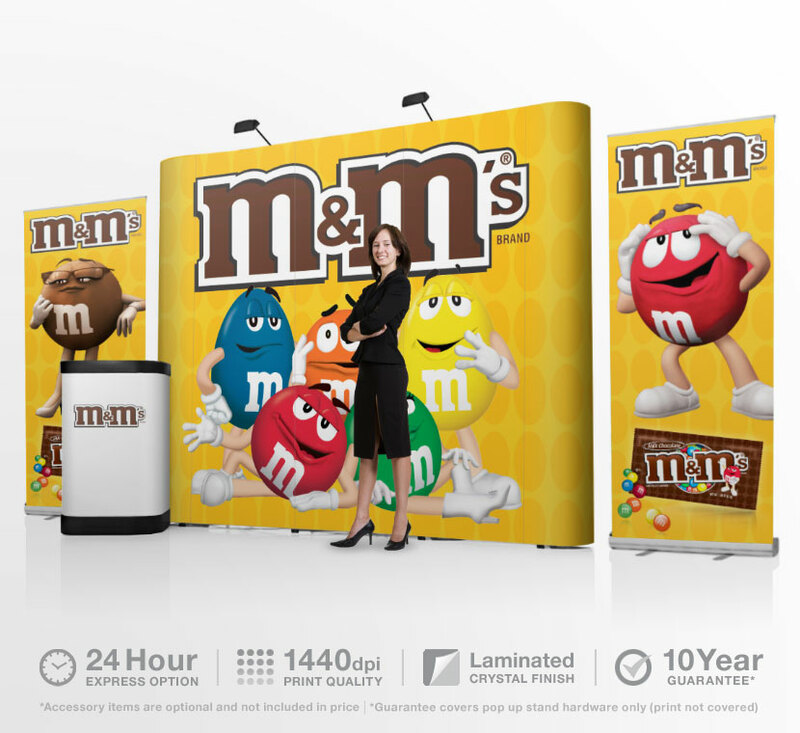 Please note that the majority of time when erecting a banner stand from 600mm to 1500mm, the stand can be erected by one person. Many stands can be erected up to 3m tall without the use of ladders and these stands have a telescopic twist out pole that allows you to put it to it’s optimum height of 3000mm. 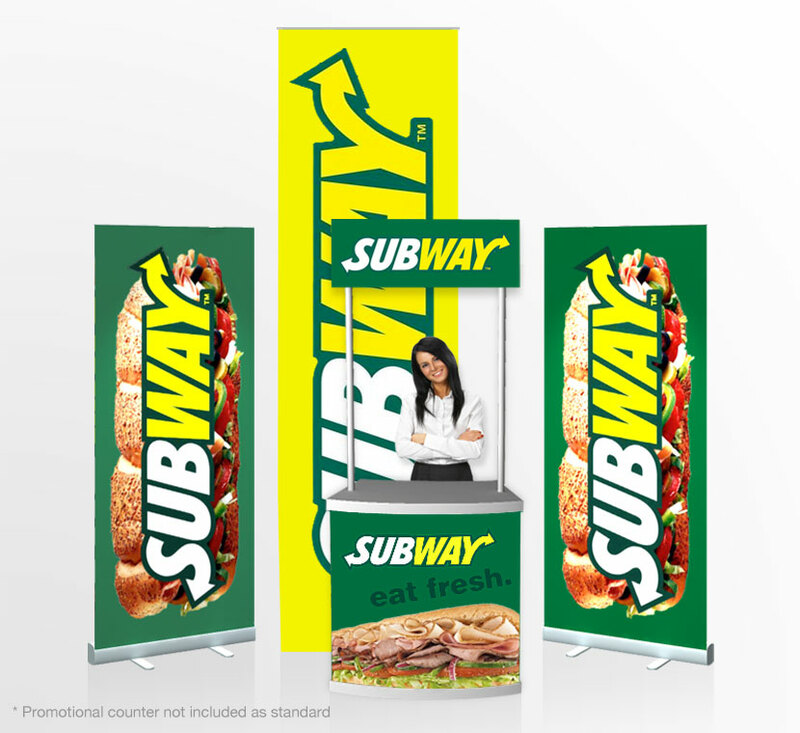 Not all banner stands are suitable for different environments including wind rain and even high temperatures and even UV. 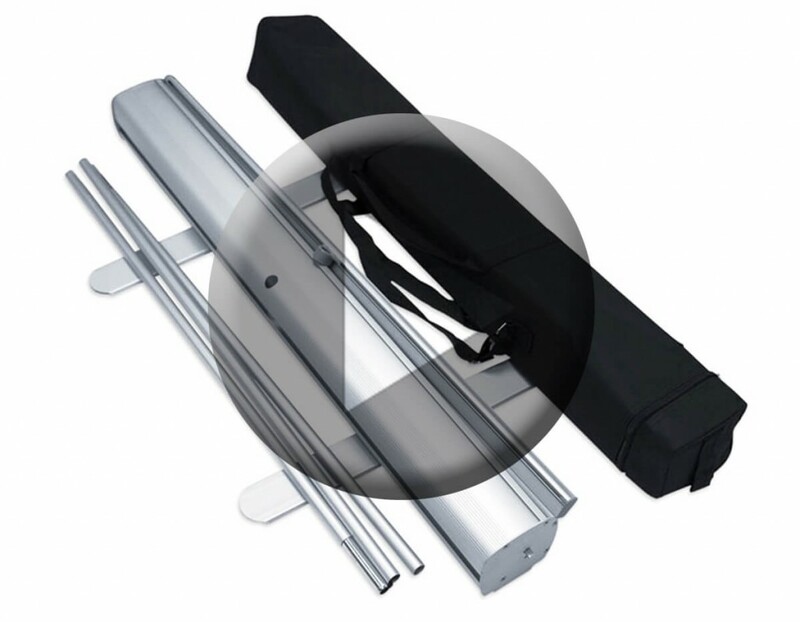 Many banner stands are deigned to be used for specific indoor or outdoor situations and you’ll need to see our other videos and blogs on those products. 5. For best results allow the banner to adjust to room tempreature.